In 2009 Dr. Freeman was presented a saber, honored by the Baton Rouge Army Battalion for excellence in training services rendered to the Battalion. 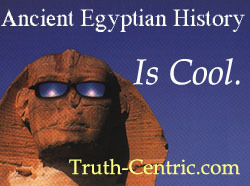 © Copyright, 2010-NOW The Freeman Institute. All rights reserved. Nothing on this page may be used without explicit written permission. Leaves them spellbound! It all begins with a brief video clip of Dr. Ben Carson. 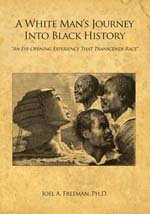 Genuine documents and artifacts of Black History are exhibited, with Freeman telling the stories about each person and event. Very experiential & visual! Freeman tells the gripping story of the history and drama surrounding the cracking of the code to hieroglyphics, which later unlocked the secrets of ancient Egypt. This is not off-the-shelf stuff. He is an expert at customizing the training to meet specific needs. 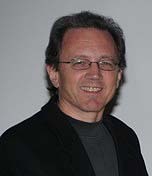 With a Ph.D. in counseling, Dr. Freeman can also address some of the issues surrounding marriage, singleness, stress management, suicide prevention, morale, conflict resolution, family life in or out of the military, and more...connecting all of this information to the participants of the training. Baltimore Battalion. Below is the reference letter from the Battalion Commander. 1. I am honored to give Dr. Joel Freeman my highest endorsement for his excellent training and educational programs. While serving as the Battalion Commander of the Baltimore Recruiting Battalion, Dr. Freeman successfully served as my unit's principle trainer during our Annual Training Conference. His performance and expertise were unparalleled as he professionally trained the largest recruiting battalion in the nation consisting of seven companies, two Military Entrance and Processing Centers and over 300 recruiters. 2. Equally impressive were the results that were yielded from the excellent training event. His diligent research and preparation ensured his training was very informative and relevant to our business. 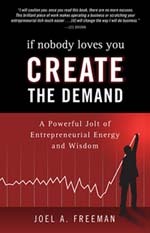 Dr. Freeman was instrumental in quickly eliminated the barriers of personality differences and other leadership flaws while displaying alternate ways of getting the absolute best performance from all who attended. Countless recruiters remarked that Dr. Freeman's training was very helpful and that it would definitely help them better accomplish their missions. 3. Dr. Freeman's materials such as his books and tapes were also very helpful. These excellent tools supported his teachings and provided a means for operational sustainment in following what he had taught to us. To note, in concert with the dedication and hard work of the entire battalion, the unit was able to reach goals never reached before. The battalion finished number one in the brigade and continues to enjoy success today. 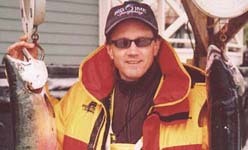 As a testament to his expertise and organizational abilities, Dr. Freeman was later selected to serve as an endorsed and accepted professional trainer for the entire command. 4. I cannot overstate Dr. Freeman's proven abilities. I am proud to have served along side this outstanding scholar and would be more than willing to serve with him again. Dr. Freeman is the consummate professional of the highest caliber and will undoubtedly be a tremendous asset to any organization. all-day training event for all the Battalion Commanders of the 1st Brigade. 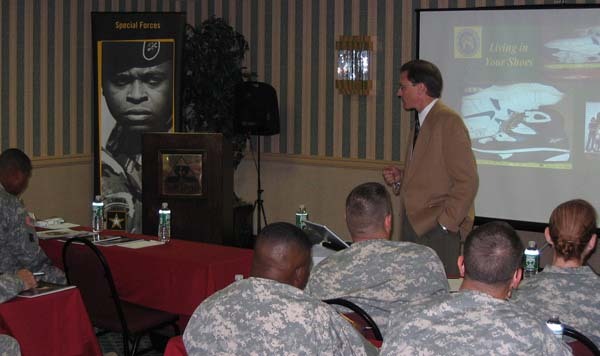 December, 2006 -- Dr. Freeman was then asked to do the training for the Albany Battalion. Below is the reference letter from the Commander of the Albany Battalion. I have nothing but positive feedback from the commanders and first sergeants who attended your seminar with me on 13 December. Your presentation was on target to our needs and will without doubt help us to better focus when we come together again shortly to develop our organizational goals. The methods you showed us for dealing with peers and others we interact with will serve us all not only in this organization but well into the future, making your seminar one of the most valuable I have ever attended. I am grateful for the flexibility you showed in meeting our needs for time and place and also for working within our resources. I hope that we will have the opportunity to work with you in the future. Thank you for investing in America's Army. Training Conference (ATC) for the Baltimore Battalion. Below is the reference letter from the Baltimore Battalion Commander. The Baltimore Recruiting Battalion would like to express our gratitude for your presentation at our Annual Training Conference on 1 November. Your training on team building was both inspirational and motivational and will remain on the minds of the Soldiers and their Families for some time to come. Your attendance and presentation has made the conference all the more memorable. Your support means a lot to the many Recruiters, Civilians and Families of the Baltimore Recruiting Battalion. training event for all the Battalion Commanders of the 2nd Brigade. honored with a ceremonial saber from the Battalion. over 500 soldiers and spouses in the Jacksonville Battalion (FL) in the 2nd Brigade. over 400 soldiers and spouses in the Raleigh Battalion (NC) in the 2nd Brigade. 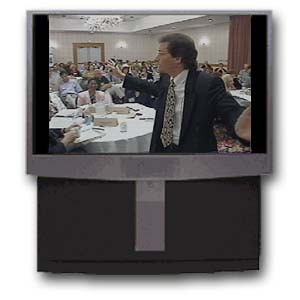 I wanted you to know that the positive feedback from your leadership course, "Dealing With People Who Drive You Crazy!" is still coming in! Everyone asked, "When can we get Joel back?" As you know, soon I will be leaving for a new command in Europe. I look forward to utilizing you as a resources there. Your workshop (both material as well as your personal delivery style) will enhance any staff. military or civilian. Keep up the great work. I highly recommend The Freeman Institute to any organization that wants to fine tune their organizational, interpersonal, and/or leadership skills. Several months ago you provided a workshop for employees on my staff. The staff members, supervisors and managers were elated with the interesting material relating to leadership skills and the contributing factors to the behavioral styles. In fact, I was really impressed with all of the subjects in the workbooks you handed out to all of us. Some of the comments I received from the attendees were as follows: "I think that all DOD employees should attend a course like this." "I wish we could have extended the workshop another day or two." "I am now a better employee, parent and person after attending this workshop." I strongly recommend your training programs to all employees in a work environment such as the Federal Government or in the public sector as well. Although I am retiring in the next two months, I am going to personally recommend to my replacement that he should have your workshop return on an annual basis for new supervisors and managers. "You, you, and you ... Panic. The rest of you, come with me." - U..S. Marine Corps Gunnery Sgt. "Yea, Though I Fly Through the Valley of Death, I Shall Fear No Evil. For I am at 80,000 Feet and Climbing." "If the wings are traveling faster than the fuselage, it's probably a helicopter -- however, it's probably unsafe in any case ." 1. "Why is it doing that?" "Airspeed, altitude and brains. Two out of three are needed to successfully complete the flight." understanding or doing anything about it." As the test pilot climbs out of the experimental aircraft , having torn off the wings and tail in the crash landing, the crash truck arrives; the rescuer sees a bloodied pilot and asks, "What happened?" The pilot's reply: "I don 't know, I just got here myself!" here's a refresher on how some of our former patriots handled negative comments about our country. When in England,at a fairly large conference, Colin Powell was asked by the Archbishop of Canterbury if our plans for Iraq were just an example of empire building' by America. There was a conference in France where a number of international engineers were taking part, including French and American. During a break, one of the French engineers came back into the room saying, "Have you heard the latest dumb stunt America has done? They have sent an aircraft carrier to Indonesia to help the tsunami victims. What does he intend to do, bomb them?" A U.S. Navy Admiral was attending a naval conference that included Admirals from the U.S., English, Canadian, Australian and French Navies. At a cocktail reception, he found himself standing with a large group of officers that included personnel from most of those countries. Everyone was chatting away in English as they sipped their drinks but a French admiral suddenly complained that, whereas Europeans learn many languages, Americans learn only English. He then asked, "Why is it that we always have to speak English in these conferences rather than speaking French?" Without hesitating, the American Admiral replied, "Maybe it's because the Brits, Canadians, Aussies and Americans arranged it so you wouldn't have to speak German." "You have been to France before, monsieur?" the customs officer asked sarcastically. Mr. Whiting admitted that he had been to France previously. The American senior gave the Frenchman a long hard look. Then he quietly explained, ''Well, when I came ashore at Omaha Beach on D-Day in 1944 to help liberate this country, I couldn't find a single Frenchman to show a passport to." Contact us for a more detailed and customized programs. "military -- government -- army -- navy -- air force -- marines -- chaplain -- dod -- national security agency -- nsa -- tsa -- coast guard -- homeland security -- fbi -- secret service"